HomeGauge 5.2 has been released! We've finished polishing up the beta and sent it out the door. HomeGauge 5.2 is a great update to the best inspection software on the market. Now, it's the bestest. We'd like to thank our beta testers who helped us iron out the bugs. What are some of the important updates? Thumbnail photo view updates in real time. This is a great feature for an inspector using a laptop in the field with a digital camera and the new Eyefi Mobi or the built-in camera on a Windows 10 laptop. This means your photo thumbnails in HomeGauge update as you are taking pictures, so you don't have to refresh your photo view. This short video shows how it works with the new Eyefi Mobi card and how it can save you time. Big improvements in video. We have improved our report videos with better quality compression and we now include a video preview image in the Web Presentation report. The video preview image also shows up in the (cough cough) pdf. In addition, we have removed QuickTime to make it an easier and more reliable experience. HomeGauge Services. Our 5.2 release means more video for you! We have doubled our standard upload report size maximum from 15MB per report to 30MB per report! That's twice the video and twice the crushing power you will have over your competition — with no extra charge to our customers! Improved rapid fire edit picture mode. Now when your pictures are presented to you in rapid fire mode, your storage pictures can be easily removed without interrupting the process. Simply click Remove and your storage picture will be removed from the report, but still kept in your photo locker. Integration with Flir infrared cameras. Now when you use a picture taken using a Flir infrared camera, you can mark temperature ranges and a lot more right in HomeGauge — no external editor needed! HomeGauge is proud to be the only inspection software company to fully integrate with Flir. New fast template designs. 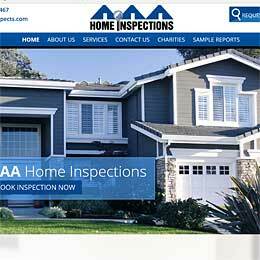 These new templates can save an experienced inspector a great deal of time. You can also easily convert your current template to work in this fashion. Watch the video to see how it works. New print format. Our new print format puts all the issues at the top naturally, with all the remaining non-essential items and Styles and Materials last. The Narrative Focused print design is not for the faint of heart, as it removes section overviews and footers, doesn't display summary or section icons, and works even better without a summary (if that's allowed in your state). This print format works best with templates that use Column Headers, but will work without them as well. This format is fairly experimental and is intended for inspectors who want to get right to the content of the report first. Support for high DPI screens like the MS Surface and Yoga. Ability to add/edit/remove Section Containers, i.e. Interior, Components, etc. Dropped support for Windows XP, Windows Vista, and Windows PocketPC. Report merging now also includes the photo locker. Report merging does not merge inspector info into the main report. Improvements in the formatting of the Summary, especially estimates and consolidated summaries. When you delete a comment in the middle or bottom of the list, you are brought back to the top of the list. Selecting the "Add Customer" button will now pre-select Customer instead of Agent. Comments with auto-attached photos are now labeled with the description. Fix for period in report id causing upload errors. Using two cameras with the same file names now works. Photo dialog — saves position of edit photo window. Include appointment number in appointment download dialog. All Comments — the "Comment Usage" now includes the comments used in the Styles and Materials options. Want to learn what's new in HomeGauge 5.2? Get a head start on 5.2 by taking our class in September! We'll be going over the new features we talked about in this news alert and more. If you've been wanting to cut down on your report writing time, or just want to explore all the features of HomeGauge, we encourage you to attend this great 3-day HomeGauge training class! Call and reserve your seat today. The class is being held September 14-16, 2016. Cost for the class is $300 for the first attendee, $200 for each additional (multi-inspector firms only) and lunch is included. Space is limited and these classes usually sell out, so call to reserve your spot today before it is too late — (828) 254-2030. Can't make it to Asheville? How about Chicago? Shancy Garrison of Report Authority is offering a 2 day HomeGauge class in Chicago on September 12-13, 2016. Visit her website for more information. Looking for a shorter class? We're having a one day class in Frankfort, KY the day before the KREIA conference on September 22, 2016 from 9am-5pm at the Capital Plaza Hotel. Inspectors who are attending the KREIA conference that week can attend for free, but must still register. For inspectors not attending the conference the fee is $99. Call us at (828) 254-2030 to reserve your spot. HomeGauge is now building websites that include our professional content writing service. What does that mean? It means you don't have to provide any content for your website — we'll do it for you! Just give us your logo, answer our quick survey about your business and we will take it from there. We have found that writing original content is often the biggest stumbling block in getting a new website online, so we will take on that burden for you, writing new, original content tailored just for your company. 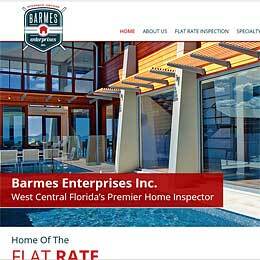 Here are some sample websites we've built that include HomeGauge-created original content. Click an image below to view the full website. HomeGauge knows that content is crucial for your website, not only for marketing and making the sale, but also for SEO (Search Engine Optimization). Web pages with very little or low quality content have a tendency to rank poorly on Google and other search engines. We have the experience and can write great content for you to help make your website work for you! Click the link below or contact sarah@homegauge.com to learn more about our website building services.